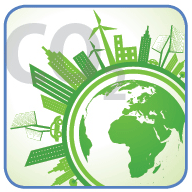 The website for the 12 climate bills is stellar, each bill summarized and laid out in full, quotes from all kinds of supporting groups in our fine state: businesses, agencies, faith groups, etc. It looked like everyone supported the bills. Go, California. The two lead bills had symbolic numbers no one could miss: SB 32 carried by Senator Fran Pavley and SB 350 (which Governor Brown spelled out in his State of the State address in February) carried by Senate Pro Tem President Kevin De Leon. 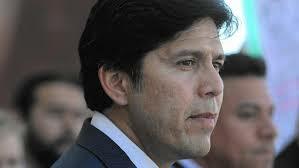 Kevin de Leon also carried SB 185, calling for CalSTRS and CalPERS to move beyond coal in their portfolios. 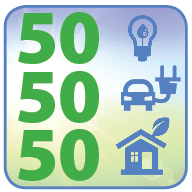 SB 32 would have set carbon reduction goals for 2030 and 2050. Fran Pavley’s recent SB 32 extended and secured as state law what had been so successful in her lauded earlier 2006 bill AB 32 that granted the Air Resources Board (ARB) authority to move us toward carbon reduction. Admittedly AB 32 took two years of coalition-building to overcome opposition and be signed into law by Governor Arnold Schwarzenegger, but this time SB 32 enjoyed widespread backing from local governments, low-income community organizations, businesses, environmentalists, labor, faith-based groups, former legislative leaders, and editorial boards across the state, including the Sacramento Bee. The bill had 27 legislative co-authors. By all accounts, it deserved to pass in both houses. SB 32 passed easily in the Senate where it was set to extend and deepen the state’s program for reducing carbon dioxide and other climate pollutants that contribute to global warming. It would have set the overarching climate pollution reduction target for 2050 that will provide California businesses with regulatory certainty, improve public health, and strengthen the economy. We all know about the hijacking of the bills by petroleum money that swayed the so-called centrist or moderate democrats who might more accurately be described as those who listened to petroleum money. Since this is a local newsletter, it is important to note here that our own Assemblyman Bill Dodd is one of the “moderate democrats” who “wishes” he could vote for climate change legislation. He just doesn’t want the ARB to have so much authority over the process, he told me, and we already have too much solar power in the state. I kid you not. Others heard him say these things and more, too. He managed to abstain from all the critical votes for SB 32, SB 350, and even SB 185, although he was later was tracked down and changed the SB 185 vote to yes when it was safe. Check out the Sac Bee exposure on petroleum lobbying money on August 29, 2015. Senator Pavley stayed very close to SB32, watching the various amendments and rejecting those that crippled the intent of the original bill. In the end, she withdrew the bill rather than take it to vote with an amendment that removed the ARB’s authority to act without consulting the legislature, which would have made all issues bipartisan and slowed action perhaps to a standstill. The bill still has a chance as a two-year bill if she can find a way through that preserves the integrity of the original bill. 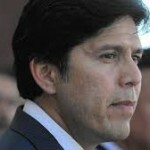 Kevin de Leon chose to withdraw the 50% reduction in petroleum rather than compromise it. 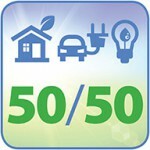 The other two parts of SB 350 passed. Meanwhile, despite extensive lobbying with each Assemblyperson, Kevin de Leon chose to withdraw the controversial part of SB 350 that would have reduced petroleum use in motor vehicles by 50%. The petroleum industry led a misinformation campaign that scared people, and the conservative democrats fell for it. However, we still have two remarkable, job-producing segments that did pass, one piece to improve the efficiency of buildings by 50% by 2030, and the other to use 50% renewable energy for California’s electricity by 2030. Celebrate! Divestment from coal – Yes! And SB 185 passed in both houses without amendments with a surprising consequence, perhaps not related. Not long after passage, the UC system decided to begin divesting from coal also! Given how much money coal investments are losing, it’s a wise choice, but the student branch of Fossil Free has been working hard for years for this breakthrough. Another cause to celebrate. Rather, I wanted to elevate the story of our climate heroes and heroines in this epic battle. Governor Brown emerged as determined as ever to keep us on course for reducing petroleum use in California. In fact, he was furious at the legislative set-back, knowing his mandates need to be translated into law. We may not be happy with all of his decisions, but he has taken on climate change with both hands and he won’t let go! Senate Pro Tem President Kevin de Leon worked tirelessly for Sb 350 and SB 185. One amazing hero was Senate Pro Tem President Kevin de Leon who worked tirelessly to win the necessary votes but held the line on compromise. He refused to turn over the weakened petroleum reduction portion and withdrew it from the vote instead, a wise move. And Senator Pavley emerged once again as our climate heroine. She worked for weeks keeping close track of her bill, guiding it through rapids and shallows, and wisely withdrawing it when the waters were too rough. We can trust her to bring it back and keep trying, even though the defeat must make her weary. How fortunate we are to have legislators with their dedication and long-term vision! I choose to focus my attention on the forces for good in the CA legislature. I’m sending letters to both and the many who worked with them, and I’ll be ready to help them in the next round. It’s actually fun to go to committee hearings! The Sacramento Bee certainly contributed as well, and a letter to them would help. Not all their readers appreciate their strong public support for the climate bills. In addition, there was a remarkable network of organizations working to keep people like you and me informed and let us know when and how interested citizens could be involved. California League of Conservation Voters provided regular updates and emergency calls to action; Sierra Club led a lobbying day and put out alerts; Interfaith Power and Light had a presence at the capitol and sent out alerts and called on us to be present wearing green when it was helpful. We need to develop and respond to such hotlines so we can be nimble when critical legislation comes up. Sometimes a few people speaking at a committee hearing or just filling rows with supporters carrying signs can propel a bill through. We have strong leadership but they need our active support behind them now more than ever. Our presence at the capitol, our rallies, our letters to the editor, and right now our thank you notes help our elected heroes and heroines keep going for us and for our children. This is how we will reclaim our democracy, through advocacy. How fortunate we are in California to have genuine climate heroes and heroines prioritizing policies to address one of the most important global issues – climate change – and not giving up even as the petroleum industry itself exerts its full weight against them. I’m in for the next round, and the one after that until one day maybe we win.